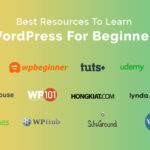 Whether you are an independent blogger or a representative of a large international company, chances are that your site is hosted via WordPress. Studies show that WordPress powers 26% of the internet. This powerful and versatile CMS allows for unprecedented customization capabilities. As such, WordPress is quite capable of being optimized for mobile viewing. With the rise of popularity of smartphones and iOS devices, more and more people browse the web on the go. The marriage of WordPress and mobile optimization can effectively increase your influence across the board if it’s done correctly. With that in mind, let’s take a look at several tips and tricks that can help you optimize your online presence for mobile-friendly viewing. Before we get into the “how”, let’s talk about the “why” of mobile optimization. Chances are that you have visited your favorite websites through a smartphone device before. While some do pay close attention to mobile-friendly design, many websites still feature desktop-based design solutions. The User Experience (UX) of your website increases drastically once you pay closer attention to the responsive nature of your design. Unneeded elements are eliminated, navigation is streamlined and the user’s journey becomes much more enjoyable overall. Search Engine Optimization (SEO) plays a pivotal role in whether or not your website will be visible to people interested in your content. Things like keyword and multimedia optimization, as well as mobile-friendly, responsive design add up to your SEO. If you pay close attention to the mobile accessibility of your content, your popularity through search engines such as Google and Yahoo will spike drastically. More attention is not a bad thing in digital media, especially with so many competitive WordPress websites fighting for the spotlight daily. It’s no secret that each industry niche has several predominant players on the market. This means that you will always have to fight for new customers, readers and stakeholders. Mobile optimization of your WordPress website can help you reach that point more easily. Your website’s brand will become synonymous with accessibility and responsive design if you choose to implement mobile optimization. That way, smartphone users will know to visit your website instead of other, less viable options for their screen sizes and bandwidth. Once you become a respected brand in your industry, you will have the authority to set new content standards, pioneer original trends and shape the way your market operates over time. If it wasn’t clear by now, engaging with mobile optimization of your content will yield a hefty Return on Investment (RoI). While you will have to invest into a mobile-friendly theme and move things around a bit (more on that later), the process will make your website lighter, faster and more approachable than ever before. Once the optimization process is complete, all you have to do is stick to the system you created and base each succeeding piece of content to that template. After some time, your content management process will become easier to handle and cheaper overall due to a focus on short-form, concise content forms. The RoI you achieve can then be invested into other WordPress aspects such as premium plugins, paid advertisement, influencer campaigns, etc. One of the best ways to start your WordPress mobile optimization process is to pick a premium theme that corresponds with your content. For example, if you prefer posting blog pieces, articles and multimedia, you should choose a theme that showcases your content adequately. Alternatively, ecommerce themes are also a viable solution for mobile-friendly viewing if that is the type of content you want to publish. However, the change of your current theme is almost a necessity given the nature of mobile browsing and how responsive each theme is or isn’t. If your existing theme responds well to mobile viewing and displays each element correctly without horizontal scrolling, you can skip this step of the process. The way multimedia content displays on a mobile device will usually make or break your website. You have to take into account the fact that there are no two smartphone devices with the same technical specifications. Each of them features a different screen size, browser version and OS. Bandwidth is also a huge deal in mobile browsing since many people don’t have unlimited data to spend on high-quality multimedia. If your website’s multimedia is too big to handle, people will quickly walk away and find another place to enjoy their content. Make sure that your multimedia (images, videos) is well optimized, compressed and legible enough for smaller screens. This is where macro design elements can help your cause tremendously so you should consider using bold fonts, capitals and color gradients to illustrate your point more clearly. Multimedia is an absolute must in WordPress websites today and it will add a lot of points to your favor – if it’s professionally optimized and accessible through smartphones. Even though mobile design doesn’t focus on text optimization, the legibility of your content still plays a major role. Smartphone users are used to reading short-form content and social media feeds in small intervals. This usually happens in commute, lunch breaks and minute-to-minute breaks in-between work. In order to appeal to this audience, you will have to rethink your technical optimization and SEO. Try to focus on creating short-form content with fewer long-form (1500+ words) articles in the future. While this content can be read on smart devices, it can cause a strain and people will walk away if it happens. Keyword tools such as Google Adwords and SEM Rush do find their place in WordPress mobile optimization. They can be used to target trending topics, phrases and help point you in the right direction. It is also worth noting that localization adds a huge plus to your SEO and search engine visibility. Platforms such as PickWriters can help you in terms of website localization services and make your content more appealing to international readers. What this amounts to is a large emphasis on readability, cohesion and technical SEO of your written content. Popups are a great tool for emphasizing subscription benefits to your visitors. They work well on larger screens and laptop devices since people have more control over their browsing experience. However, popups are a nuisance on smartphone devices, especially when dealing with older models with slower CPUs. Popups effectively stop smartphone users from accessing your site without going through the trouble of loading far more multimedia content than they are comfortable with. Popups often refresh the current page in order to return the reader to their target page, adding to the wait time and bandwidth consumption. Find less intrusive ways to present your discount coupons, subscription offers and ad-block messages. Remember that the UX of your mobile readers is far more important than how many features you can possibly cram into your WordPress website. Less is sometimes more and in terms of popups, you should find alternatives to this once-popular marketing method. The importance of load speed of your WordPress website cannot be overstated. Sometimes even a few seconds can cost you precious SEO ranking which will be taken over by your competitors. In order to make your site as lightweight as possible, certain amendments will have to be made. WordPress plugins are some of the most versatile and powerful tools on the digital market. Their role is to make the user’s journey through your content more enjoyable and worthwhile. However, they are also in place to make sure that your content management goes smoothly and without errors or security risks. WordPress plugins should be used sparingly however and in very limited amounts. The fewer plugins you have in place, the faster your site will load. Make sure that your plugin selection encompasses the usual SEO, tracking and quality of life features people are accustomed to. Any unorthodox widgets such as GPS, weather and similar informative but bandwidth-heavy plugins should be left out. This will ensure that your site loads as fast and as stably as possible through mobile devices with limited capabilities compared to desktop computers. Speaking of plugins, WordPress developers have taken the need for smartphone optimization to heart. There are numerous plugins and widgets designed specifically for Android and iOS devices. When these plugins are in question, you should include them in your standard lineup for added mobile SEO. Let’s take a look at several representative examples which can help make your site more mobile friendly. As one of the most popular choices on the market, WPtouch is a must in your mobile-friendly plugin arsenal. The tool effectively transforms your existing layout and content to fit the mobile device of any visitor to your website. It is very elegant and lightweight, offering plenty of customization options to site administrators and content managers. The tool comes in free and premium packages, both with their distinct features and benefits for long-term use. There are plugins out there that represent comprehensive bundles of numerous WordPress favorites – and Jetpack is one of them. 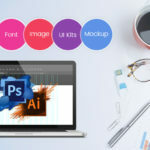 This all-in-one plugin offers everything from social media integration, security management, marketing tools and design modification options. 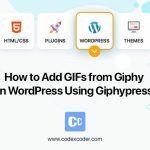 It is a great plugin to keep in mind if you want to make your site as fast as possible since it takes up a fraction of the space all of its tools would normally take. Jetpack kicks in only when a mobile device tries to access it, which means that desktop users won’t know the difference. There’s no denying that touch controls and small screens can’t accommodate large navigation bars of desktop websites. After all, users are accustomed to drop-down menus in their applications and want to use the same in their browsing experiences. WP Mobile Menu provides an intuitive, professional menu interface for your WordPress website. It operates in the same fashion most smartphone applications do with their drag-and-click menus which is perfect for mobile users. WP Mobile Menu seamlessly integrates with existing themes and allows for a much better UX on mobile than the default WordPress system does. If you are not tech savvy or have a WordPress website with an enormous amount of content, it can be daunting to optimize everything manually. Mobile Smart is a WordPress plugin capable of retrofitting your content to any smartphone device which tries to access it. 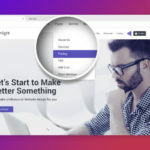 The plugin chooses the best possible resolution, screen size and theme for the device in question, allowing for on-the-fly optimization and UX maintenance. What makes Mobile Smart a good investment is that it requires minimal technical knowledge of WordPress. This makes it perfect for content managers and independent site owners who only want the best for their mobile visitors without the know-how. Lastly, there is a way to go a step beyond anything your competition might come up with SEO-wise. AppPresser is a mobile development framework and a WordPress plugin capable of “pressing” your website into an application. You can effectively turn your website into a mobile-friendly application which can be featured on app stores on both Android and iOS side of the equation. This can cause your site’s visibility to spike significantly given the nature of smartphone use and reliance on on-board applications. AppPresser comes with several plugins integrated into it, including WooCommerce. Your mobile app updates alongside the live, desktop version and offers the same content in a compact, mobile-friendly manner. Mobile optimization of WordPress sites is an ongoing process. You won’t be able to “call it a day” after some time and let the site run itself. New plugins, themes and WordPress versions will always be just around the corner. Keep a close eye on your industry and try to provide the best possible experience for your visitors. The right user base will find its way to your site and keep coming back for more.